One thing that has become immediately apparent amid the media circus surrounding Fantastic Four is that, deep beneath Josh Trank’s reboot and the numerous script doctoring layered over, is the first incarnation of the superhero flick that Trank and 20th Century Fox had originally set out to make. It’s for this reason that a steady stream of reports have surfaced relating to the film’s deleted scenes, with one of the most prominent – Jamie Bell’s The Thing airdropping from the plane at night – cut from the final print due to budgetary constraints. Heck, going one step further, Trank had even filmed scenes that included the Fantasticar; scenes that were ultimately shelved when his vision began to balloon and Simon Kinberg and other Fox executives began to meddle with the plot. Now, there’s a fresh wave of information relating to that fabled original cut that will likely never see the light of day. Setting aside the impassioned blame game between Trank and the studio, the original set-up presented by Devin Faraci at Birth.Movies.Death suggests that an entirely different version of Fantastic Four was once on the table, though it was cut and rearranged for one reason or the other. First off, Faraci’s expose hints that prior to Kinberg assisting with script duties, the first treatment of Fox’s reboot was penned by Jeremy Slater, who delegated screentime to tell the origins story behind Herbie the Robot, the FantastiCar and Galactus. Before becoming corrupted by absolute power, Victor von Doom built the Quantum Gate along with Reed and Co., though he’s been feeding the research gathered by Teller’s lead to his Latverian spies. Stumbling onto the alien wasteland, the explorers – led by Reed, Victor, and Ben – soon discover that the planet is home to a fallen civilization, one that has been brought to its knees by the all-powerful Galactus. At this point, the deity shoots a beam of energy at Victor, seemingly killing him in the process, while Reed and Ben make it back to the Quantum Gate by the skin of their teeth – not without ailments of their own, however. Four years pass as Marvel’s First Family get to grips with their powers, but it’s during this time that those aforementioned Latverian spies construct a Quantum Gate of their own, bringing back the now fully-fledged Doctor Doom to planet Earth. It’s then up to the titular team to tackle Doom head on in Latverian, eventually trapping the nemesis in the Negative Zone before scrambling to warn the government of Galactus, thereby setting up the sequel. 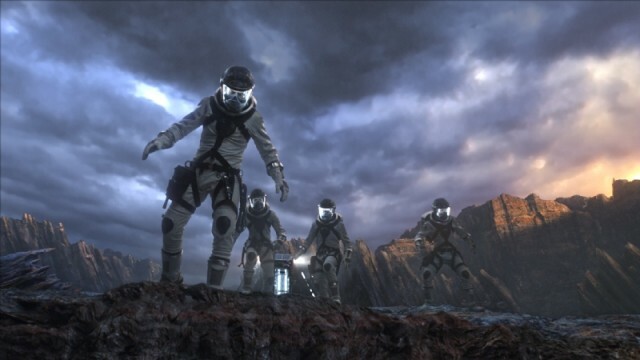 Without doubt, it’s a markedly different film that the one that hit theaters earlier this month, and though it’s interesting to learn more of the alternate take on the source material, it looks as though Trank’s botched reboot will be the last time Fantastic Four graces the silver screen for some time.